A report from Bloomberg a few days ago revealed that Samsung has allegedly decided to ditch Qualcomm's Snapdragon 810 processor for the Galaxy S6 due to overheating issues while testing it. According to their information, the Galaxy S6 will instead ship with only Exynos SoCs inside, rather than the usual mix of Exynos and Snapdragon models we've seen over the past few years. LG, on the other hand, has found no such issue with the Snapdragon 810 in their latest product, the LG G Flex 2. Speaking to Reuters, LG Vice President Woo Ram-chan said he was aware of the concerns over the Snapdragon 810, but claimed the chip's performance "is quite satisfactory" and that he didn't "understand why there is a [sic] issue over heat." The two statements from Samsung and LG are rather curious. Firstly, AnandTech noted that the G Flex 2 demo (and non-final) units shown at CES were, in fact, thermally throttling to an extent. It wasn't mentioned how quickly this chip reached thermal limits, but it seems to contradict the statements made directly by LG. We also noted pretty significant thermal throttling in Samsung's devices, powered by their Exynos SoCs, during our testing of the products. The Exynos-powered Galaxy Alpha, for example, began throttling just a few minutes after heavy GPU usage. It's interesting that Samsung would allegedly complain about Snapdragon 810 thermals if their own chips also suffered from throttling issues. It's still possible that Samsung will opt for a Snapdragon 810 in the Galaxy S6 alongside their Exynos chips by the time the product is announced. 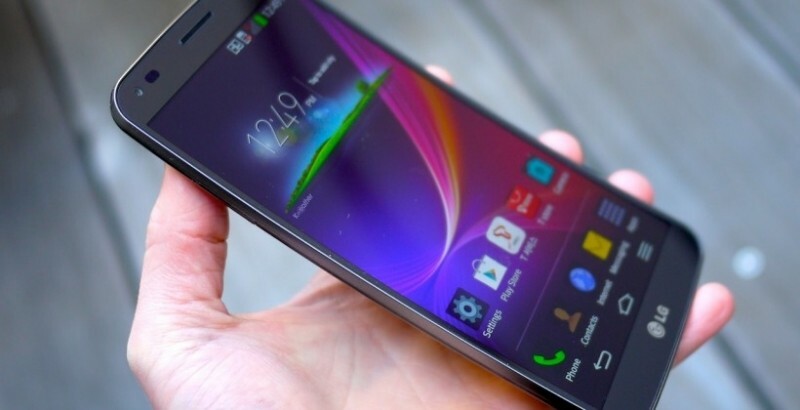 It's expected that Samsung will make that announcement at MWC at the beginning of March. Meanwhile, the LG G Flex 2 will launch in South Korea at the end of this month, powered by the Snapdragon 810.